Great for your children, the Lifelight Flashlight from Sun Company is a fun way to light up a room as it places a bright white LED light encased in a fun, rubberized casing depicting their favorite reptile, mammal or bird. 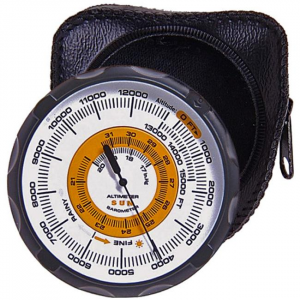 The Sun Altimeter 202 measures altitude in 100ft increments from sea level up 15,000 ft ( 4500 meters). It also has a weather trend indicator with barometer to warn you of impending storms. 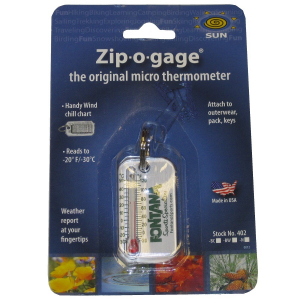 This funky, functional Sun Company TempaComp keychain features a thermometer, compass and carabiner, all in 1.